Unless we're queuing behind someone smugly showing their Art Pass and sliding into a gallery for free, we always forget what a difference the frankly awesome discount card would make to our lives. But for the next three months, that could all change. To mark the launch of Rachel Whiteread's funky new gold-leaf frieze on the facade of the Whitechapel Gallery (a commission enabled by the Art Fund), you can get one of the cultural cards, valid for three months, for free. We reckon it sounds like a great deal. With the chance to see big shows like Edvard Munch and Damien Hirst at the Tate, British Design at the V&A and Royal River at the National Maritime Museum for half price over the summer, and no need to get into a long-term contract, we suggest snapping up this offer. 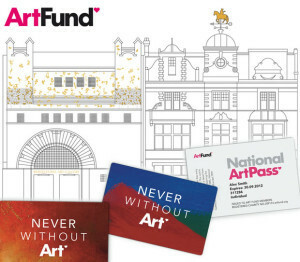 Visit art fund.org to register for your free taster three-month Art Pass.